Dodge Dart GT Conquered Detroit - Drive Dodge - Drive Sport! 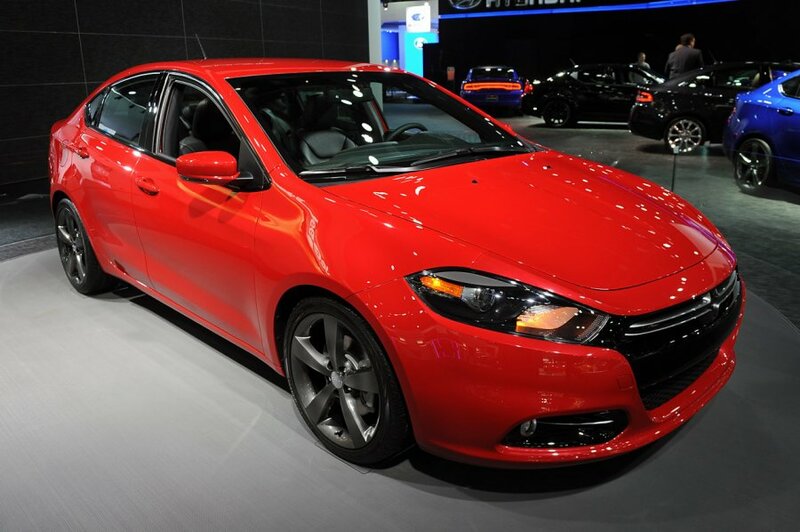 At the Detroit auto show in 2013 we were happy to see with our own eyes a new Dodge Dart GT. This new and very aggressive appearance of sporty Dodge Dart sooner or later had to get support in the form of not less severe nature. It has just happened with this new and exclusive model. At the Detroit auto show in 2013 there was a premiere of the new Dodge Dart GT, which now stands at the head of the model line. The “heart” of the new car appeared to be the 2.4-liter engine with the maximum capacity of 184 horsepower, which can be paired as a 6-speed “mechanics”, or with the 6-speed “automatic” for the customer’s choise. “The new Dart GT embodies all what the buyer require from the compact car: style, power, new revolutionary technology, and also the highest value. With 184-horsepower, 18-inch aluminum wheels, sport suspension, leather interior and a number of exclusive in-class options, Dart GT offers the roominess and comfort of the premium car for 20,995 dollars (U.S.) “, said the president of Dodge – Reid Bigland. Well, we also think that this car can be at the forefront of the market in this year. New Dodge Dart SRT4 Gone for Detroit!